we were ready to RUN at the river. The river came to greet us. We had a brilliant time. Of course everyone else arrived and we stayed for two hours! Sorry we haven't been around for a few days to comment. SHE has even left off a few layers of clothes! 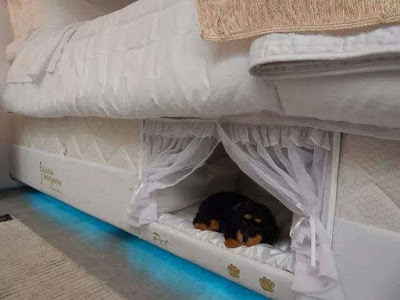 A company in Brazil is making mattresses with built-in dog beds! We think the dog bed should be a bit bigger so SHE can sleep in it. Then we can have the BIG bed and really STRETCH out. We're having COLD, FROSTY mornings, and though the sun shines, it is NOT very warm outside. We've been spending lots of time sharing the little heater or snuggling on the couch. to help HER keep warm! We hear you laughin' Northern Friends. Oh look, a packages are interesting. Hmmmmmmm, lots of little white things. Untangling spray and dry shampoo! What happened to the good stuff? We had to eat a few of those white things. Dui ready to attack Kelly. so no one can see him. He learned this technique from Kelly. accidently knocked the plug into the sink!!! while SHE sopped up the water with about 87 towels. 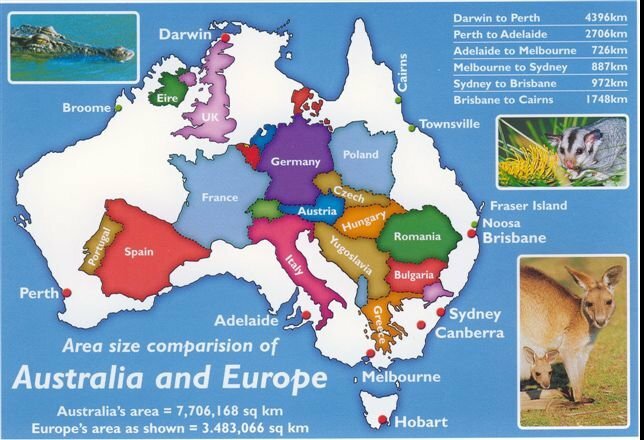 This is a map, SHE found...see the resemblance? We think Saturday rocks because we get to go to the river. We hope you're having a happy Independence Day weekend with lots of treats.